In the competitive pickup truck segment, the Ford F-150 is a model spoken of in only the most reverent tones. Consistently presenting itself as a dominant force to be reckoned amidst a crowded field of competitors, the Ford F-150 easily bridges the gap between uncompromising utility and everyday drivability. Now moving into its 2017 model year, the Ford F-150 boasts a history longer than many of its competitors, but Ford has never rested on its laurels when it comes to innovation with this iconic model. And with a fresh batch of upgrades and refinements coming with the 2017 Ford F-150, many fans of the brand here in Norman, OK and nearby Oklahoma City, Blanchard, and Mustang, OK may wonder how this model stacks up against the competition. Well, we’ve done our due diligence here at Reynolds Ford of Norman, and put together a competitive analysis to show you how the new 2017 Ford F-150 compares to one of its closest segment rivals, the 2017 Ram 1500. There are any number of factors to compare between the 2017 Ford F-150 and the 2017 Ram 1500, but if you’re a savvy shopper here in Oklahoma, you’re no doubt looking at the price of each model first. Luckily, that’s a contest that the Ford F-150 easily wins. Coming in at an MSRP of $32,085, the base 2017 Ford F-150 XL SuperCab is markedly more accessible than the comparably equipped 2017 Ram 1500 Tradesman Crew Cab, which rings in much higher at $34,390 MSRP. 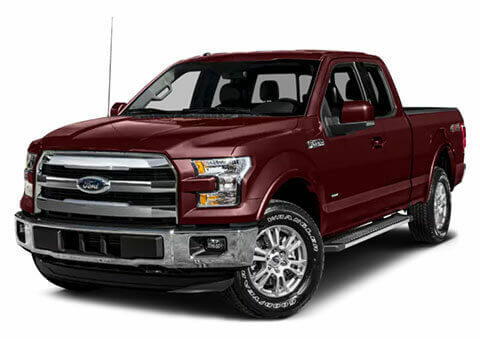 What’s more, with our exceptionally competitive offers on Ford financing here at Reynolds Ford of Norman, you may just be surprised by how much you can save on the Ford F-150 model of your dreams when you shop with us! When it comes right down to it, the 2017 Ford F-150 is built for hauling heavy loads. And whether you want to do so for work or recreation, you want to be sure that you’re behind the wheel of a vehicle that can handle even the most unwieldly load with confidence. With a maximum towing capacity of up to 10,500 pounds, the 2017 Ford F-150 can easily accommodate all your towing needs. In addition, the new 2017 Ford F-150 features innovative technologies like the available Pro Trailer Backup Assist™ system and BLIS® Blind-Spot Information System with Trailer Coverage, which help make your towing jobs significantly easier. Unfortunately for the 2017 Ram 1500, it lacks comparable technologies and has a markedly lower maximum towing capacity at10,140 pounds. One of the most significant improvements that Ford has made with the 2017 F-150 is the decision to switch to a High-Strength Military-Grade Aluminum Alloy Body. 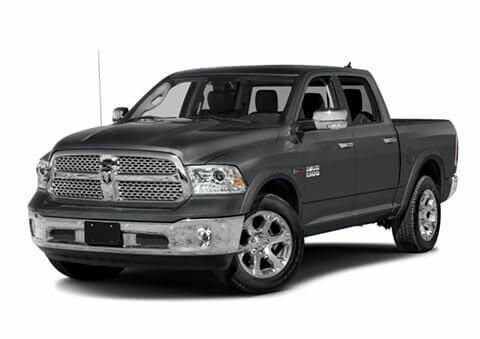 This changed resulted in a major weight savings over the outgoing model, resulting in a gross weight of just 6,100 pounds, whereas the 2017 Ram 1500 clocks in markedly higher at 6,800 pounds. With its lighter body, the 2017 Ford F-150 is able to perform more nimbly on the road, allowing it to optimize power and efficiency to more perfectly conform to driver expectations. However, a lighter body does not mean the 2017 Ford F-150 is any less durable. In fact, with a five-star overall government crash test rating, the 2017 Ford F-150 is adept at providing that peace of mind that so many drivers here in Norman and nearby Mustang, Blanchard, and Oklahoma City, OK crave. Even with its heavier body, the 2017 Ram 1500 only managed a four-star overall government crash test rating.